Is Byron Murphy the ballhawking cornerback the Giants need for their defense? The top of the depth chart for the 2019 cornerback class is a murky one. Depending on what defense a team runs or traits they favor, they could name any one of three or four corners as the “CB1” of this class. And while that might speak to the depth of talent at the position, the problem is that none of these players run away with the title of “best corner”, and there are far more players who are intriguing than truly impressive. 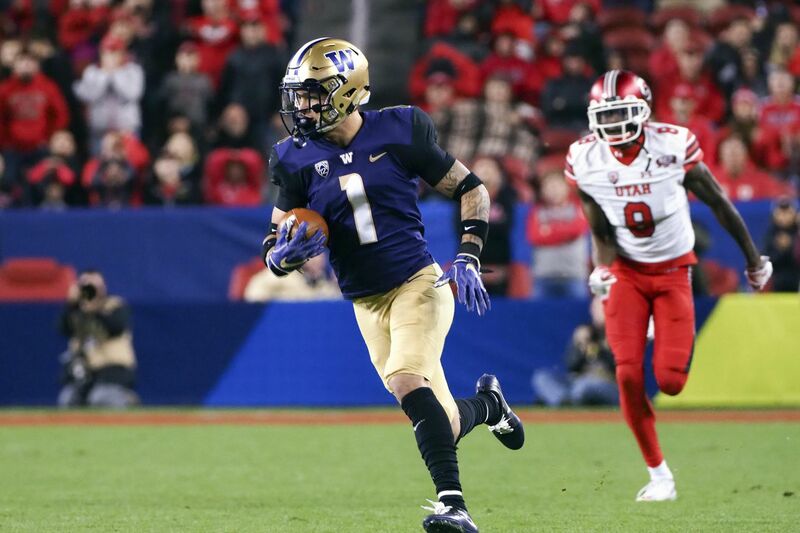 Washington’s Byron Murphy might have the most well-rounded game of the corners in this draft class, boasting easy change of direction ability, the ability to cover in man and zone, and quality ball skills. The New York Giants don’t have much in the way of proven long-term answers at the cornerback position. And while Murphy might not fit the Giants’ physical archetypes for a defender, his skill set should put him in consideration for a high pick. Excellent feet and oily hips. Versatile, able to play press man, off-man, and zone coverage. Easily gets in a receiver’s hip pocket. Size will be a concern for some teams. Can be greedy in baiting quarterbacks in off-coverage. Can struggle to shed blocks. Murphy’s fluidity, quickness, speed, ability to mirror routes, press technique, zone awareness and ball skills make him a scheme-transcendent talent. He features lockdown coverage skills with the ability to make game-changing plays on the football. He may have only started 20 games in college but his football IQ and athletic ability is good enough to contribute right away. Murphy has the potential to be among the top cornerbacks in the NFL by year three. The Giants absolutely need to add talented young players to their secondary, and Murphy is certainly that. His fluency in multiple coverages and ability to generate big plays and turnovers would be an asset to the Giants’ defense. Murphy doesn’t have the size, length, or pure athleticism of some of the other corners in this draft class, and that could be a detriment in the eyes of a Giants’ team that likes big, long athletes on defense. However, when it comes to the traits that make up a good cover corner — foot quickness, fluid hips, instincts, and ball skills — well, Murphy has those in spades. Quick feet and oily hips allow Murphy to easily get in receivers’ hip pockets in tight man coverage and stay there throughout the route. In off or zone coverage he shows good awareness of the play and a willingness to bait quarterbacks into making ill-advised throws. And while that does result in some completions that wouldn’t happen if he had played the receiver instead of trying to make game-changing plays, he did create plenty of big plays for his defense, including 26 passes broken up and 7 interceptions over the last two seasons. Janoris Jenkins is not likely to be in the Giants’ plans for the future, but adding Murphy in the first round would help keep a steady presence in the secondary should Sam Beal fail to pan out.